Volkswagen commenced its operations in India in 2001 with the launch of SKODA. The firm has its headquarters situated in Pune. The Volkswagen Group in India has 5 five brands under its wing; Volkswagen, SKODA, Porsche, Audi and Lamborghini. Volkswagen and Audi were introduced in India in 2007 whereas Porsche and Lamborghini were introduced in 2012. The automobile manufacturer operates across 100 production plants and has more than 5,00,000 employees. Why is it Important to Insure Your Volkswagen Car? A car insurance protects you from any unforeseen liabilities that may arise due to a mishap. As per the Motor Vehicles Act, it is mandatory that every car owner insures his/her car with at least a third-party liability cover. A comprehensive car insurance covers the own damage liabilities and third-party liabilities that you may incur from a mishap. A third-party car insurance covers only the third-party liabilities that you may incur from a mishap. You can buy or renew a car insurance online via third-party insurance website or the official website of the insurer. You can buy or renew a car insurance offline by visiting the nearest branch office of the insurer or meet with an insurance agent. 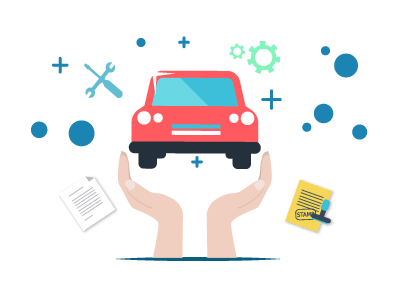 What is the tenure of the car insurance policy? The tenure of a car insurance policy is generally 1 year. What is a car insurance? A car insurance is an agreement between the insurer and the policyholder where the insurer promises to protect the policyholder against the liabilities in case of a mishap in exchange for a premium. A compulsory excess is a part of the insured amount that the policyholder has to mandatorily pay as per the agreement with the insurer. A cover note is a temporary document issued by the insurer until the insurance certificate can be issued. IDV or Insured Declared Value is the market value of the vehicle with respect to its age. Car giants Volkswagen India announced the commencement of Volksfest 2018 to celebrate 90 years of Walt Disney’s iconic character Mickey Mouse. The company will offer its customers insurance and exchange bonuses along with other lucrative finance options. Customers can be assured of winning a free gift on a test drive, booking, and after-sales services as well. The campaign is valid from 15th September till the end of the month of October. The scheme is valid at all the 121 authorised Volkswagen dealerships in 104 cities in India. VW will have a host of activities to keep the children of the customers engaged while the customers go out for their test drives. There will be various colouring activities, and photo-op corners to ensure that the kids remain busy.